However, the vastness of our galaxy–let alone our entire universe–means experiments to understand our origins are expensive, difficult, and time consuming. In fact, experiments are impossible for studying certain aspects of astrophysics, meaning that in order to gain greater insight into how galaxies formed, researchers rely on supercomputing. 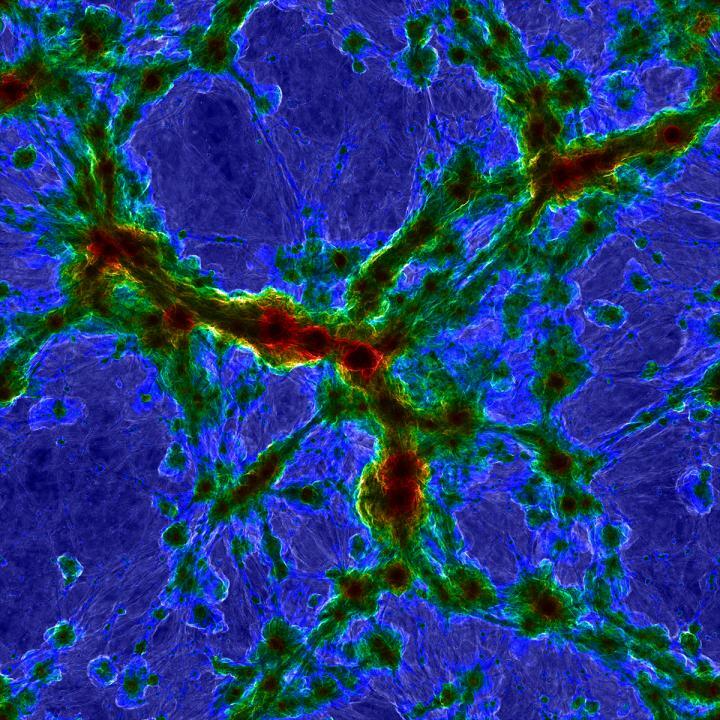 Recently, the team expanded on its 2015 record-breaking "Illustris" simulation–the largest-ever hydrological simulation of galaxy formation. Hydrodynamic simulations allow researchers to accurately simulate the movement of gas. Stars form from cosmic gas, and stars' light provides astrophysicists and cosmologists with important information for understanding how the universe works. Just as humanity cannot envision exactly how the universe came to be, a computer simulation cannot recreate the birth of the universe in a literal sense. Instead, researchers feed equations and other starting conditions–observations coming from satellite arrays and other sources–into a gigantic computational cube representing a large swath of the universe and then use numerical methods to set this "universe in a box" in motion. For many aspects of the simulation, researchers can start their calculations at a fundamental, or ab initio, level with no need for preconceived input data, but processes that are less understood–such as star formation and the growth of supermassive black holes–need to be informed by observation and by making assumptions that can simplify the deluge of calculations.